Facebook, as everyone knows, is a popular social networking site. But one Facebook page in particular, “Southern Oregon University Confessions,” has been gaining traction in the student body of SOU. 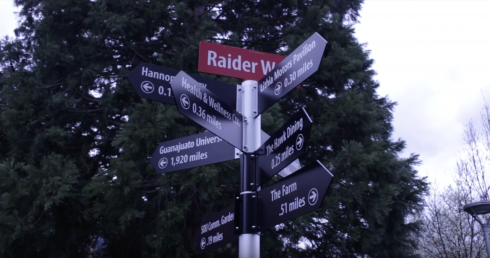 The page, which allows SOU students to anonymously post things about their lives, has garnered enormous engagement throughout the student body, with over 770 posts and 880 “likes” at the time this article was published since it was established on Feb. 20, 2013. 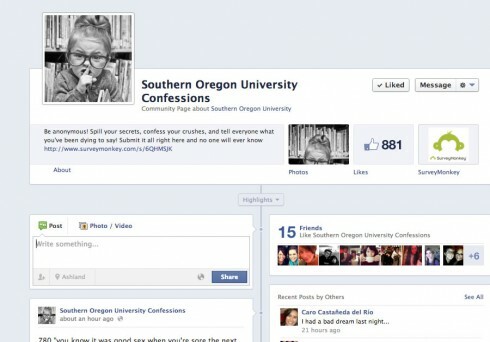 The creation of the SOU Confessions Facebook page for was inspired by similar pages that have popped up on other university campuses, such as the one that was established for San Jose State University. One of the two administrators of the SOU Confessions page, who asked to remain anonymous in order to preserve the engagement they have been receiving, said the page “promotes freedom of speech and a sense of community throughout the campus,” as students are able to anonymously post information on the page without being lambasted for what they share. The administrator clarified they also filter out offensive comments to ensure they do not promote hate speech. “It has been an interesting and communal experience with the student body,” the administrator said. The two administrators get the posts anonymously through surveymonkey.com, and then go over each one together. There is a link to the survey on the Facebook page. Seriously, how is it that Journalism students aren’t even proof-reading their articles? This one wasn’t great guys. I’ve counted five problems here alone. It may be nitpicking but this kind of stuff is important. 1) “Facebook, as everyone knows, is a popular social networking site.” Facebook has been around for a number of years, we no longer need to state this. It makes if feel like I’m about to read an article written by a high school student. 2) Its not “SOU Confessions” — its Southern Oregon University Confessions. Its more typing, I know, but accuracy is key. 3) San Jose State what? Again, articles need to be complete and accurate. 4) The first instance of “surveymonkey.com” is missing its “n”. Proof-read. 5) In the last paragraph, “anonymously” is stated twice — its basically the same message you’re conveying. You don’t need to repeat that message twice in he same paragraph. (See what I did there?) It was also stated earlier in the article as well bringing us to a total of three times in 7 paragraphs/ sentence structures. [Not sure why it posted my earlier versions of the comment, pre-proof reading. Thankfully I wasn’t writing an article but a mere comment! Thank you for catching the errors in the above article, we were honored you took the time to proofread it so thoroughly and have made the necessary corrections based on your input. We are glad to have such an active and responsive readership, especially one that is so invested in making our university newspaper the best it can be. If you are ever interested in making the jump from reading the paper to writing the paper, please drop us a line at siskiyouedit@gmail.com. 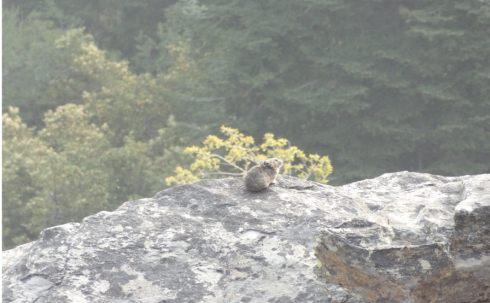 Also please feel free to edit more of the material on our website, we could definitely benefit from your sharp eye.